Children have dreams as they grow up, and so did little Anita Perella-to be a famous actress, or an explorer, or a writer. She never dreamed that one day she’d be running The Body Shop, a global corporation with a conscience. 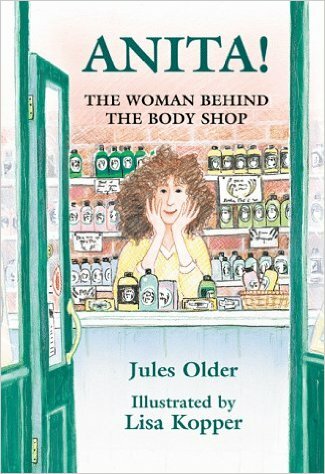 This jaunty authorized biography, copiously illustrated with bright color illustrations, explores the early years of the famous Anita Roddick, internationally respected business woman. Bonus features include Anita’s personal health and beauty tips throughout the book, snapshots from her photo album, and a special section featuring things we all can do for the world. 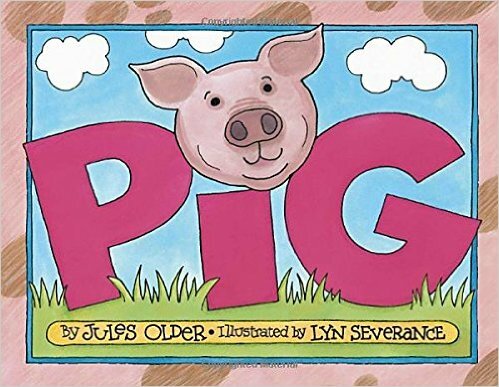 Humorous, informative text discusses the life of a pig–from splashing about in the mud to opening refrigerator doors. Readers meet various breeds, both wild and domestic, from all over the world. Adorable illustrations capture the swiney splendor of each pig. Join Mary-Kate and Ashley Olsen and their friends for a birthday party that turns out to be a big surprise for both girls. My name is Randi Wong, and I need a miracle! I’m having an ice-skating party for my birthday. But Frederika, another girl in Figure Eights, is having a party on the same day! And she’s invited all my friends! 1. Where is the Brown Swiss cow from? 2. How much milk does a cow produce in a day? 3. Which one of the cow’s four stomachs rhymes with “Yo! Chase ’em!”? The answers to these and many other questions about cows can be found in the amusing but factual book about, you guessed it, COWS! With his clever and humorous text, Jules Older has again collaborated with popular Ben & Jerry’s illustrator Lyn Severance. This book is chock-full of facts with rich, bold colors that shouldn’t be missed. From the “water ices” that Marco Polo brought home from China, to the first ice cream factory built in 1848, this unique view of ice cream history illustrates how this diverse confection affected civilization–and how civilization affected ice cream. Jules Older and Lyn Severance team up again to bring you a wildly witty and sweetly delectable story of everyone’s favorite treat–complete with resources for further study and quizzes to test your new-found knowledge. In 1922, when Joseph-Armand Bombardier was fifteen years old he built his first snow vehicle. He had always loved to tinker with motors and make things go, and he dreamed of building a vehicle that could go over snow. His first attempt, using a Model T Ford engine and a wooden propeller, worked well. To Joseph-Armand’s mind, anyhow. Not so much his father, who made him take the contraption apart. Over the years, Joseph-Armand dreamed of becoming a great mechanic and inventing machines. But when his young son died of a fever because it was impossible to get to the hospital over the snow-covered roads, Joseph-Armand applied his single-minded determination to building a vehicle that could go over snow. It took years, but he accomplished his goal. His invention changed the way people in snow country lived. Inaccessible roads could now be travelled, taking patients to hospitals, doctors and priests to the needy, children to school, and even mail to residents. Time isn’t an easy concept for kids to grasp, but young readers will delight in learning all about it with the fun and lively lessons in TELLING TIME. Exploring what time is and discovering why we need to tell time, young readers certainly learn more than ‘the big hand is on the one and the little hand is on the two’. With the help of a whole lot of clocks, a dash of humor, and a few familiar circumstances, learning to tell time is a lot of fun. It’s about time. With Megan Halsey’s fresh, fun, and playful illustrations, telling time is a breeze. Imaginative digital and analog clocks adorn page after page with cuckoos, in the shape of boats, with alarm bells, and more. You won’t want to miss a second of Telling Time. 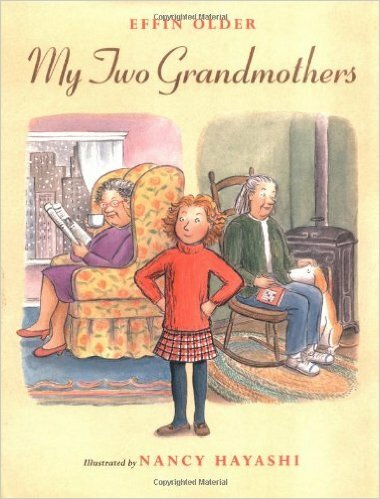 The Olders give 10% of their profits on all kid’s books to programs that support kids. Some recipients have been the Vermont Reading Project, the Heifer Project, Doctors Without Borders, and the Southern Poverty Law Center.